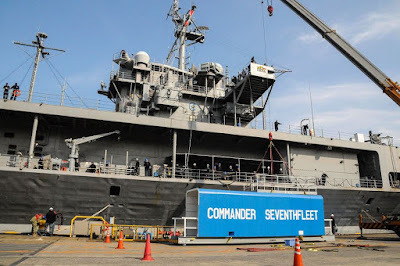 The Stars and Stripes offers Craig Whitlock’s piece on the Fat Leonard U.S. Navy bribery scandal and the 7th Fleet Flagship, the USS Blue Ridge (seen in the above photo). As the flagship for the Navy's 7th Fleet, the USS Blue Ridge plays a critical role in national security by overseeing all U.S. maritime operations in Asia and the western Pacific. The venerable warship is the Navy's second-oldest active-duty vessel and has survived the Vietnam War, the Cold War and tensions with China and North Korea. 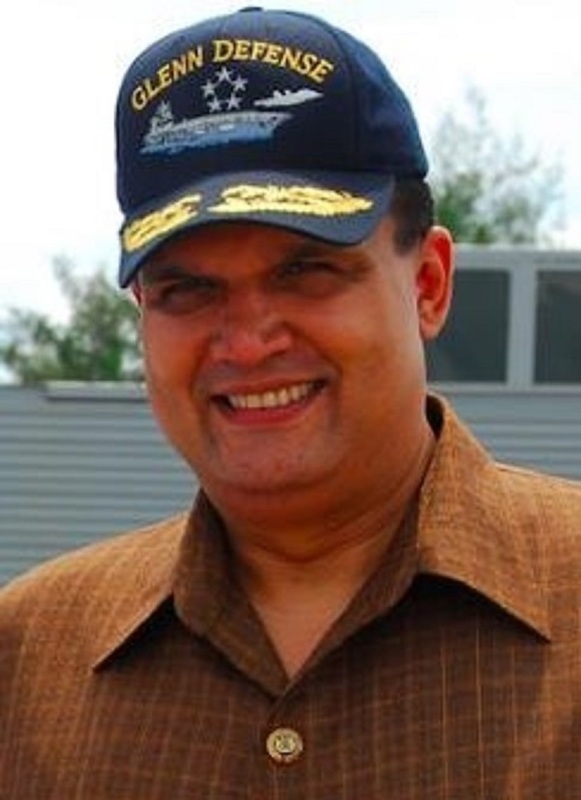 In a case that ranks as the worst corruption scandal in Navy history, the Justice Department has charged 15 officers and one enlisted sailor who served on the Blue Ridge with taking bribes from or lying about their ties to Leonard Glenn Francis (seen in the below photo), a Singapore-based tycoon who held lucrative contracts to service Navy ships and submarines in Asian ports. For the better part of a decade, as part of a massive scam to defraud the Navy, Francis systematically infiltrated the Blue Ridge to a degree that is only now coming into focus, more than four years after the defense contractor's arrest, according to the documents from federal court and the Navy, as well as interviews with Navy officials and associates of Francis.